The birth of my second born. For other reasons that involve grief. I cannot alter the past. But I can see it in his eyes. I want to cry but I need to be strong. 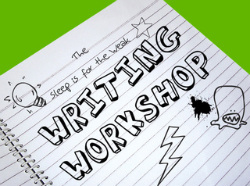 Written for Workshop #36 of the Writing Workshop over at 'Sleep Is For the Weak'. This week I used prompt #3 - "Taking stock. Where are you now?" I wanted to write this yesterday (it is six years since mum died) but couldn't find the words. Today they just flowed. Also linked to Mama Kat's Workshop for this week using prompt #2 - "A day you were sure you wouldn't get through."